Select your type of computer - Windows or Mac. 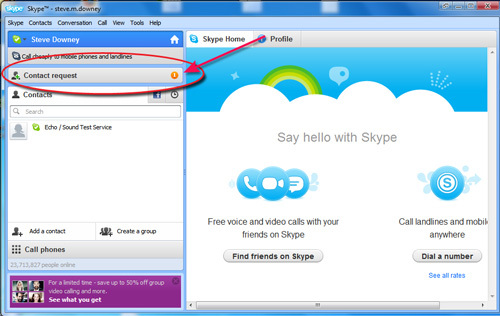 Look for "Skype Free" and click on "Download Skype"
Follow the instructions the come next. 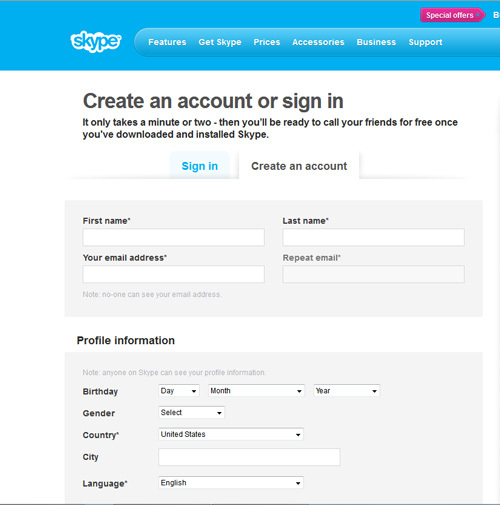 Once you've created an account, you'll be asked to log in with the Skype Name and password you created. Congratulations! 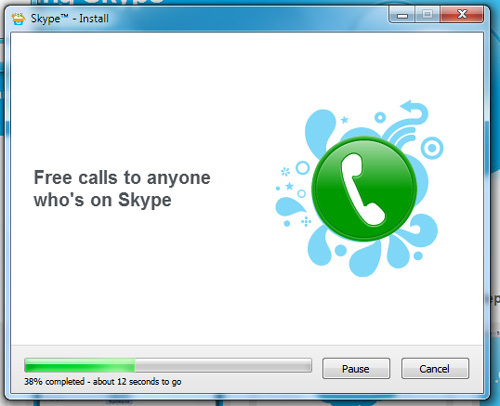 You've installed Skype. 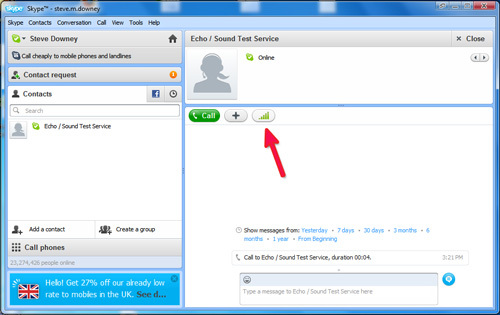 Now, test Skype. 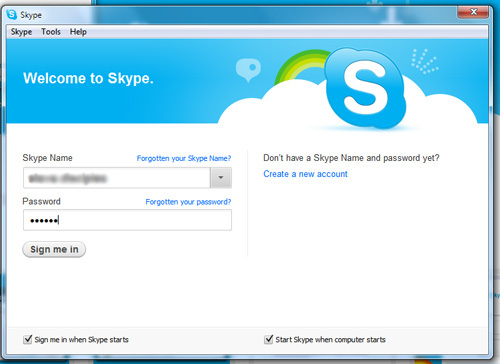 Launch Skype. Click on Contacts. 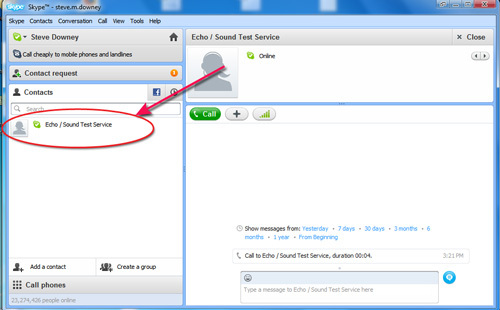 You'll see Echo/Sound Test Service listed. Click on it. 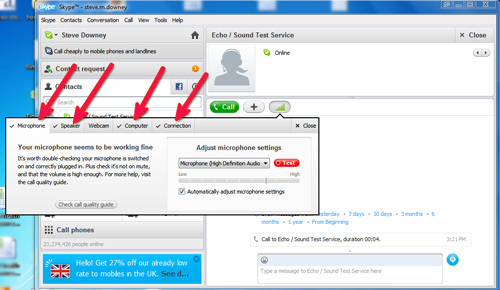 In the pop-up box, click on each of the tabs and follow the instructions for testing your microphone, speaks, computer, and connection. 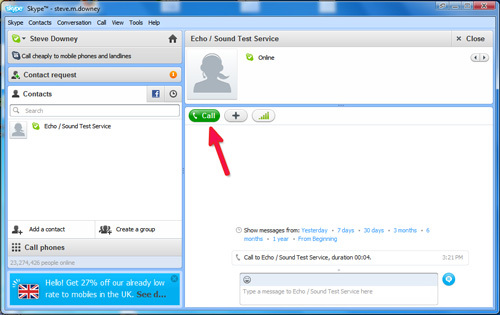 If you can hear the automated voice on the other end of the connection, and can record your voice, your Skype connection is set up correctly! 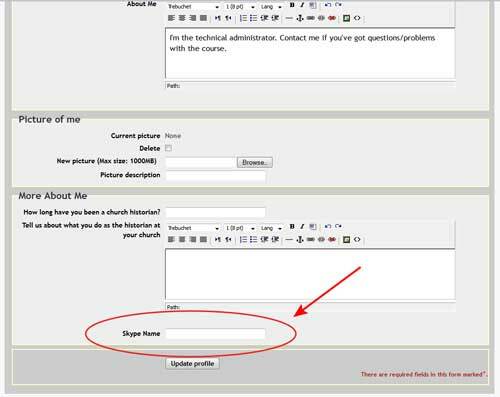 Last, follow these directions for preparing for our live discussions. 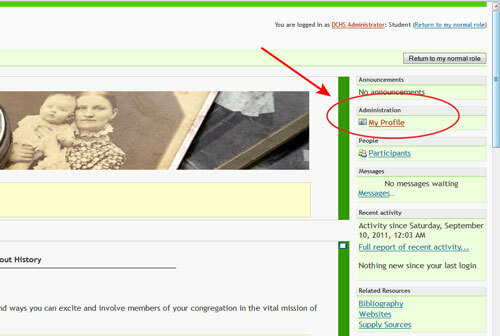 Log in to http://moodle.discipleshistory.org and go to the class. 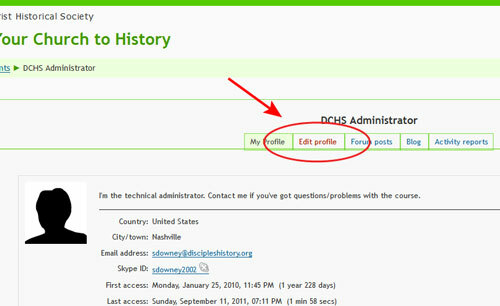 Click on My Profile on the right side of the screen. 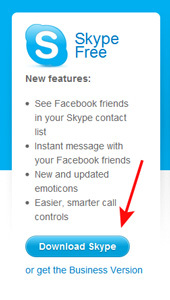 Scroll to the bottom of the page, and enter your Skype Name and then click on Update Profile. 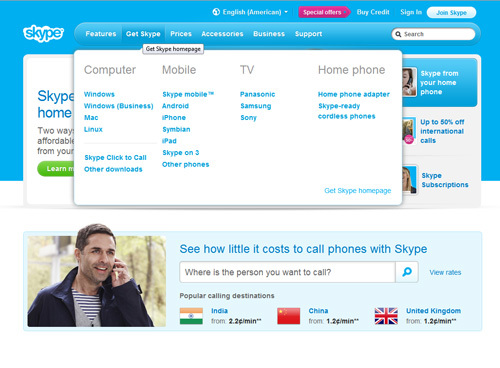 Before the first live discussion, launch your Skype application. You'll see a Contact Request. Click on it. This is a contact request from Sara.Harwell2. 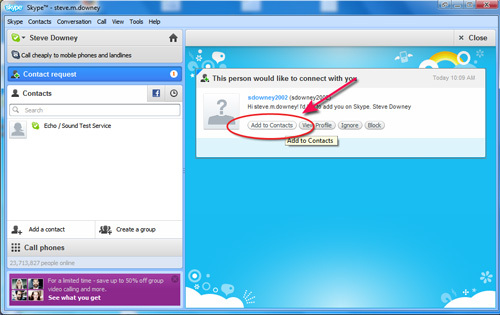 Click on Add to Contacts. Each Tuesday evening, launch Skype and Sara.Harwell2 will call the group.